You can provide your desired date for which you want the weather record to be determined. You can find out about a lot of meteorological parameters in this section including temperature, sea level pressure, degree days, dew point, humidity, precipitation, snowfall, wind speed and visibility. 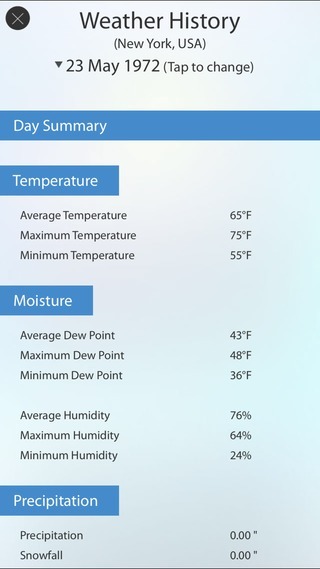 You can also access hourly weather details encompassing temperature, precipitation, humidity, wind chill, pressure, visibility and dew point. Do you want to know historic weather patterns? 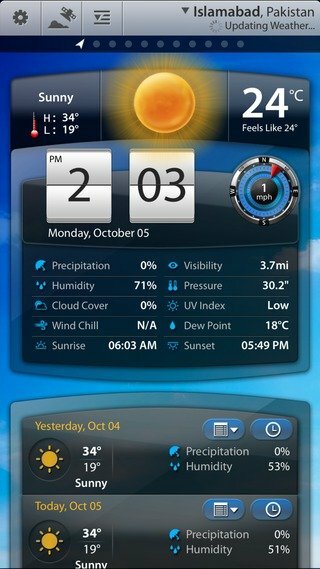 Download our app Weather Mate that includes historical weather archives of any location in te world.